Aside from the foundation, the next most important piece of your property is the roof! 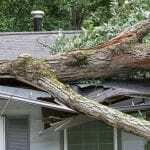 Without a solid roof, you may have water damage, mold, structural damage, and a host of other problems. If you aren’t sure of the age of your roof or you know it has gone past its prime, it might be time to hire a roofing contractor. Before typing “roofing contractor” into your favorite search engine, however, there are a few things that you should know about roofing contractors before hiring one. There are different calibers of roofing contractors. The cheapest bid will not always be the one you should choose, since those roofing contractors often add on extra fees and costs to the final price. You’ll also want to find one that has insurance for their workers. 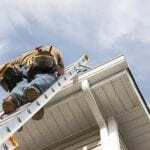 This is a crucial feature for any roofing contractor you hire because if they don’t have their own insurance, should a roofer get injured on your property, you’ll be the one that’s on the hook for the bills! Once you have found a roofing contractor who meets the criteria, you’ll need to ask them a few more personalized questions to make sure they’re not just roofing contractors who look good on paper! Ask them for personal references that you can contact to check out their work, ask about warranties, and don’t forget one of the most important questions — if they have a license! If you are looking for a great roofing contractor in your area, give us a call here at JM Reynolds Builders, LLC for information about our roofing services that we offer.